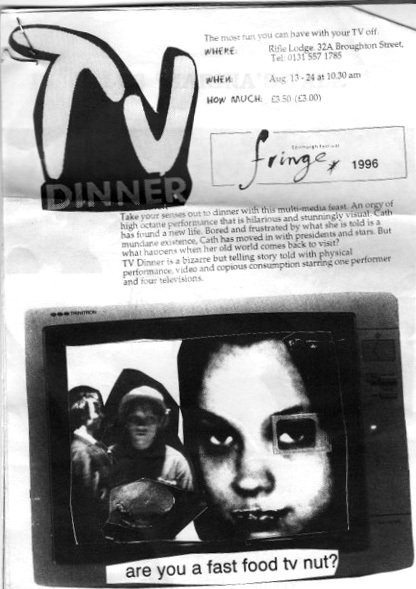 Clearing out this week, I unearthed the 1996 Edinburgh Fringe programme and some flyers So for no other reason than nostalgia, here's how the festival has changed in 20 years. There were 23-and-a-half pages for 'comedy and revue' compared to 132 for comedy in 2016. There were a lot of now-famous names. 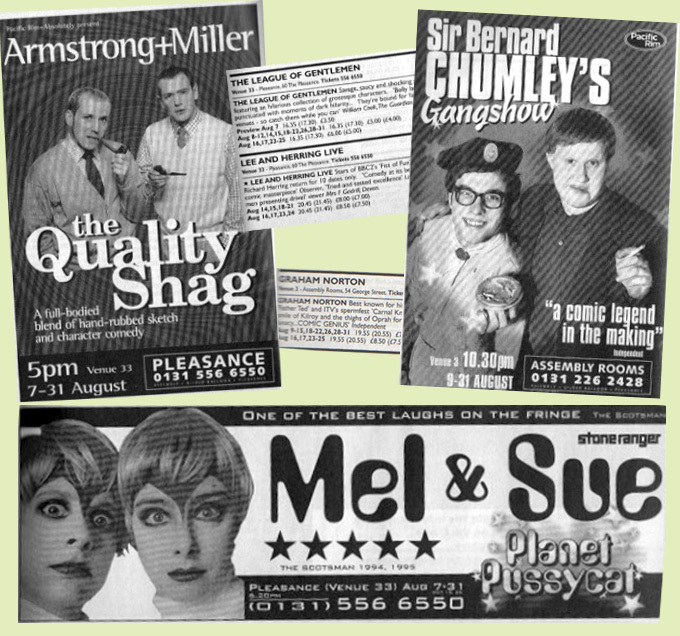 David Walliams was appearing in Matt Lucas's Sir Bernard Chumley show without making it into the poster; Mel and Sue were doing character comedy; Graham Norton ('best known for ITV's spermfest Carnal Knowledge', it says) was on at Assembly Rooms; Lee Mack was part of a three-hander called Gagging For It (with now-forgotten Geoff Aymer, Neil Webster and Kevin Hay). 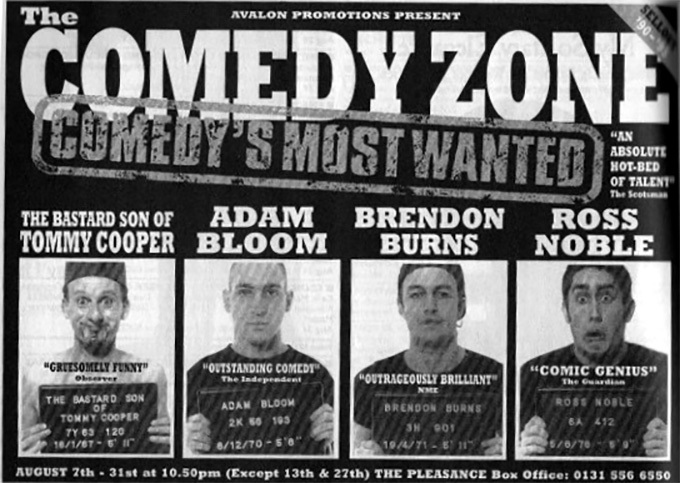 The strike rate is pretty high, you'd recognise most of the names as professional comics on today's circuit, even in line-up shows like the Comedy Zone. Wonder how many comedians from those 132 pages will still be working in 2036? Prices have risen roughly in line with inflation. 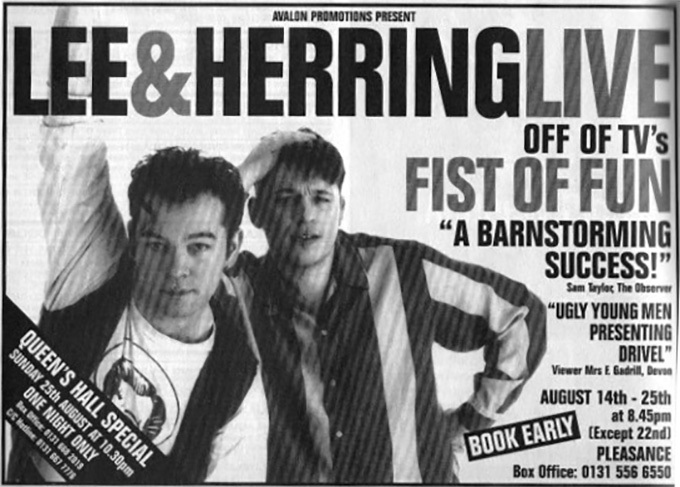 To see the Cambridge Footlights in 1996 would have cost £8 on a weekend, or £13.84 in today's money. This year, their weekend tickets were £13. But some have risen as the comedians have become more established. Phil Nichol's first solo show Schizo at the Gilded Balloon was £6 (£10.38 at today's prices), but this year his top price was £14. 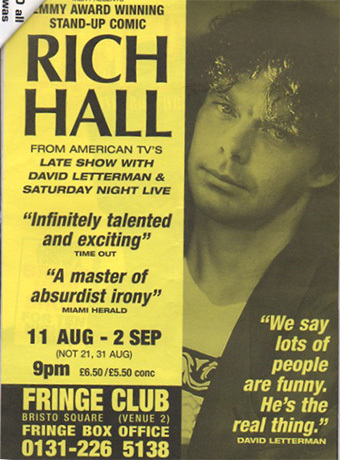 The late-night place to be was the Fringe Club, in the building that's now the Gilded Balloon, with the 'Newcastle Brown Ale Pick Of The Fridge' free to members from 22.45 nightly. 'Join the toughest audience in the world for the ultimate cabaret experience' went the blurb. 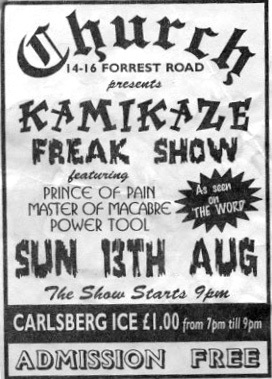 The rammed gig was in the corner of what is now the Wine Bar, beneath the balcony ideal for tipping drinks on performer's head.